Organizing Strategy: Develop energy efficient standards primarily for the residential housing sector, and circulate them among architects, engineers and builders. Tools: Engineering design making use of passive sources of energy, including solar, wind, hydro and geothermal. Estimates of the number of Passivhaus buildings around the world in late 2008 ranged from 15,000 to 20,000 structures. As of August 2010, there were approximately 25,000 such certified structures of all types in Europe, while in the United States there were only 13, with a few dozen more under construction.The vast majority of passive structures have been built in German-speaking countries and Scandinavia. The Passivhaus standard originated from a conversation in May 1988 between Bo Adamson of Lund University, Sweden, and Wolfgang Feist of the Institut für Wohnen und Umwelt (Institute for Housing and the Environment, Germany). Their concept was developed through a number of research projects, aided by financial assistance from the German state of Hessen. The eventual building of four row houses (terraced houses or town homes) was designed for four private clients by the architectural firm of Bott, Ridder and Westermeyer. The first Passivhaus residences were built in Darmstadt, Germany in 1990, and occupied by the clients the following year. In September 1996 the Passivhaus-Institut was founded, also in Darmstadt, to promote and control the standards. Since then, thousands of Passivhaus structures have been built, to an estimated 25,000+ as of 2010. Most are located in Germany and Austria, with others in various countries worldwide. After the concept had been validated at Darmstadt, with space heating 90% less than required for a standard new building of the time, the Economical Passive Houses Working Group was created in 1996. This group developed the planning package and initiated the production of the innovative components that had been used, notably the windows and the high-efficiency ventilation systems. Meanwhile, further passive houses were built in Stuttgart (1993), Naumburg, Hesse,Wiesbaden, and Cologne (1997). The products developed for the Passivhaus standard were further commercialised during and following the European Union sponsored CEPHEUS project, which proved the concept in five European countries over the winter of 2000–2001. In North America the first Passivhaus was built in Urbana, Illinois in 2003, and the first to be certified was built in 2006 near Bemidji, Minnesota in Camp Waldsee of the German Concordia Language Villages. The first US passive retrofit project was certified in July 2010: the remodeled 2,400 sf craftsman O’Neill house in Sonoma, California. Ireland’s first Passive House  was built in 2005 by Tomas O’Leary, a Passive house designer and teacher. The house was called ‘Out of the Blue’. Upon completion, Tomas moved into the building. The world’s first standardised passive prefabricated house was built in Ireland in 2005 by Scandinavian Homes, a Swedish company that has since built more passive houses in England and Poland. Estimates in 2008 of the number of passive houses around the world ranged from 15,000 to 20,000. The vast majority have been built in German-speaking countries or Scandinavia. The first certified passive house in the Antwerpen region of Belgium was built in 2010. In 2011 the city of Heidelberg in Germany initiated the Bahnstadt project, which was seen as the world’s largest passive house building areas. 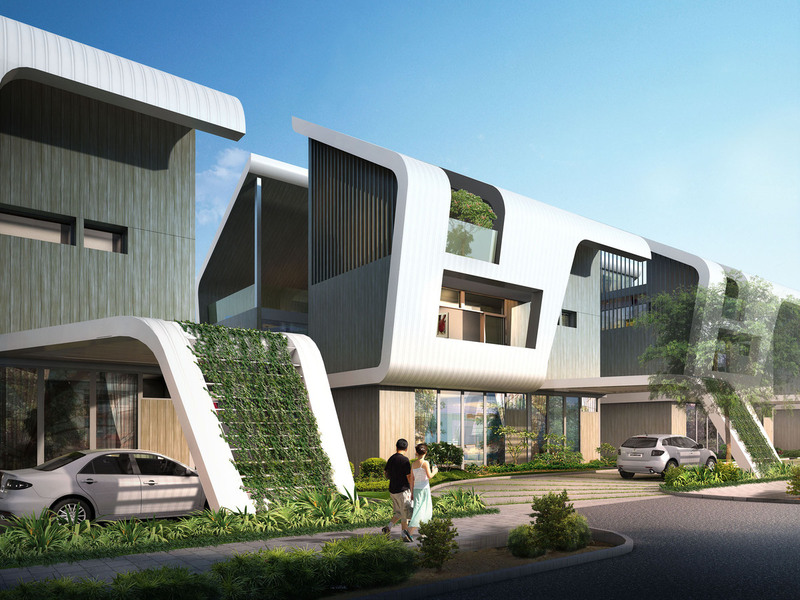 A company in Qatar is planning the country’s first passivhaus in 2013, the first in the region. The dark colours on this thermogram of a Passive house, at right, shows how little heat is escaping compared to a traditional building to the left. While some techniques and technologies were specifically developed for the Passive House standard, others, such as superinsulation, already existed, and the concept of passive solar building design dates back to antiquity. There was also other previous experience with low-energy building standards, notably the GermanNiedrigenergiehaus (low-energy house) standard, as well as from buildings constructed to the demanding energy codes of Sweden and Denmark. Further, the specific heat load for the heating source at design temperature is recommended, but not required, to be less than 10 W/m² (3.17 btu/h.ft²). These standards are much higher than houses built to most normal building codes. For comparisons, see the international comparisons section below. National partners within the ‘consortium for the Promotion of European Passive Houses’ are thought to have some flexibility to adapt these limits locally. By achieving the Passivhaus standards, qualified buildings are able to dispense with conventional heating systems. While this is an underlying objective of the Passivhaus standard, some type of heating will still be required and most Passivhaus buildings do include a system to provide supplemental space heating. This is normally distributed through the low-volume heat recovery ventilation system that is required to maintain air quality, rather than by a conventional hydronic or high-volume forced-air heating system, as described in the space heating section below. In Passivhaus buildings, the cost savings from dispensing with the conventional heating system can be used to fund the upgrade of the building envelope and the heat recovery ventilation system. With careful design and increasing competition in the supply of the specifically designed Passivhaus building products, in Germany it is now possible to construct buildings for the same cost as those built to normal German building standards, as was done with the Passivhaus apartments at Vauban, Freiburg. On average passive houses are reported to be more expensive upfront than conventional buildings – 5% to 8% in Germany, 8% to 10% in UK and 5% to 10% in USA. Evaluations have indicated that while it is technically possible, the costs of meeting the Passivhaus standard increase significantly when building in Northern Europe above 60° latitude. European cities at approximately 60° include Helsinki in Finland and Bergen in Norway. London is at 51°; Moscow is at 55°. The Passivhaus uses a combination of low-energy building techniques and technologies. Achieving the major decrease in heating energy consumption required by the standard involves a shift in approach to building design and construction. Design may be assisted by use of the ‘Passivhaus Planning Package’ (PHPP), which uses specifically designed computer simulations.